Climbed about 10 times, May is the season. How to get there: Jostedalsbreen is in western Norway, west of Jotunheimen. There are several trailheads from which one can start a climb. 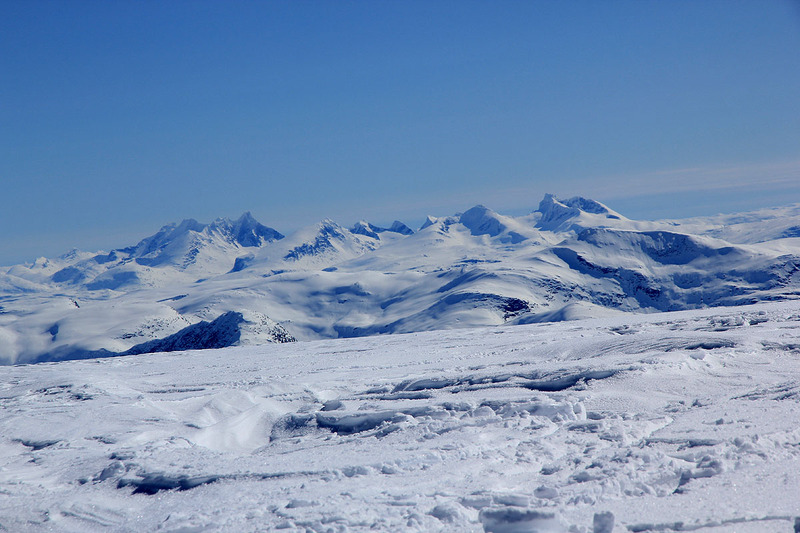 Route description: I normally visit this point en route across the Jostedalen glacier from north to south. This is a popular ski trip in April, May and even early June. Ski direcly from Kjenndalskruna to the summit of this very gentle summit. The ascent can be a bit frustrating as it seems that one never really gets there. There is always yet another veruy gentle slope before one finally arrives at the very highest point of the glacier itself. From here, set course directly west of Kjelkevarden in order to climb Gjerdeaksla. Comments: This point has no rock, just snow and ice. One can find the highest rock with a cairn by going straight south from Breakulen.